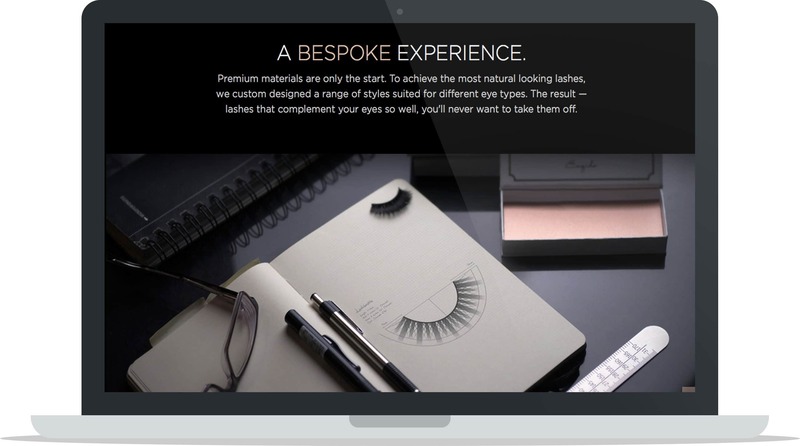 In this case study get a glimpse into Esqido’s world, a luxury mink false eyelash company. Learn about how they saw a gap in the market, developed a product they wanted to exist, built traffic to their store from scratch and solidified their premium reputation through their partnership with one of Canada’s leading luxury retailers, Holt Renfrew. Mathew Chan, one of Esquido’s co-founders, discusses what he’s learnt about shipping and fulfillment for a regulated product, why the unboxing experience is especially important for them, and the importance of maintaining momentum. Read on to learn more about Esqido. Where did you get the idea to sell luxury mink false eyelashes? 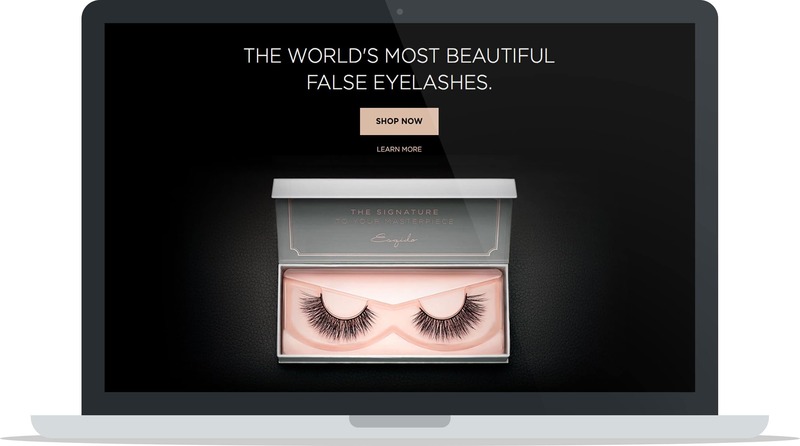 A few years ago, the only options out there were synthetic false eyelashes, which were often cheap and made from stiff plastic. They didn’t look natural nor feel comfortable when worn. On the flip side, you had individual eyelash extensions available from lash bars or salons that were often quite expensive and time consuming to do, but they were much more natural looking. My co-founder Brenda thought that it might be a good idea to try making our own false eyelashes out of the same material that extensions were made from. Fast forward to today, after countless iterations and trial and error, we’ve created a pair of false eyelashes that are not only beautiful and natural looking, but also comfortable and easy to apply. It’s never been more convenient to have longer, fuller lashes. We didn’t. It all just stemmed from our own belief that if we wanted this product to exist, chances are, others might too. And it turns out we were right. 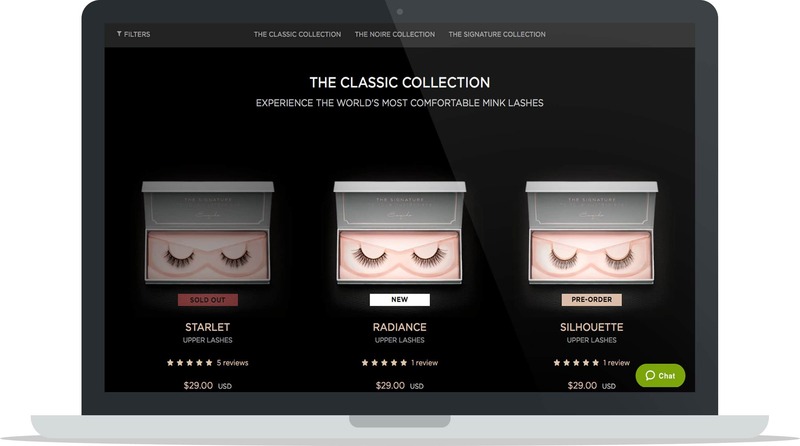 False eyelashes are a popular product in the beauty industry, how have you managed to differentiate yourself from your competitors? We completely redefined the category at the time. 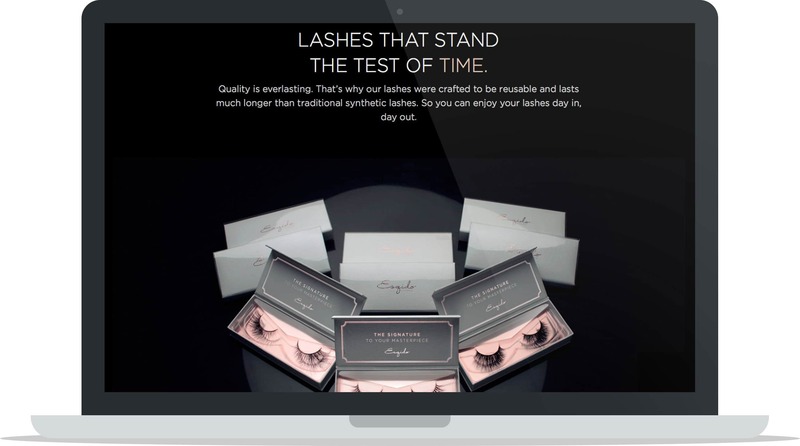 When we first introduced our lashes, it was on another level from other synthetic lashes. The strands on our products were finer, less shiny, and the ends tapers naturally and have a beautiful curl, just like your own natural lashes. Not only that, we created a unique handcrafting process that allows our lashes to be incredibly resilient, so they can be worn multiple times. What challenges did you face when first sourcing your eyelashes and how did you overcome it? How did you choose the right factory to work with? The first was making sure that we could find the right materials, not just the mink hairs, but using cotton threads to construct our lash band. We thought that there might be a better way to combat the stiff plastic bands available on the market, and we tried to use a softer material. In the end, we settled on soft cotton threads that the lash pattern is weaved and interlaced with. How do you design your eyelashes? Do you work with a product designer? Yes we design our lashes in house, and we work closely with our factories to ensure we are getting the exact pattern we had imagined. We start with a CAD drawing, and we lay out a specific pattern for each eye. Using our own construction method, we’re able to achieve a very natural “messiness”, while maintaining some structure. We started off with no audience. We first reached out to friends and family and promoted our brand on social media and leveraged SEO to get more traffic. In the beginning it wasn’t easy. Eventually we’ve gotten more traffic and more visitors, and people started to discover our brand. Slack, it’s an indispensable tool to communicate with our team, some of whom are remote. Shopify because of its ease of use, and they seem to be constantly evolving to expand their feature set. It just makes everything hassle free. We are lucky to have a very talented designer, Daniel, on our team, who also is able to take photos for us and come up with amazing product images. We started shipping out of our own homes (in Canada), and eventually moved on to shipping to a warehouse in the US. Canada Post shipping is very expensive, and as we grew we noticed that more and more of our business came from the US, so the decision to outsource fulfillment to the states using USPS made sense for us, and our customers, in terms of pricing and speed. Have you faced any challenges shipping your product, or have you encountered any rules or regulations that inhibit you from selling your product globally? Definitely, our product is a regulated one, and we’ve learned early on that there are additional paperwork and requirements needed to import into the US, as well as other customs related issues when importing/exporting. If I could do it again from the beginning, I would definitely seek professional advice from a brokerage firm or logistics company to lay out all the requirements after identifying the harmonized tariff code of the products we’re trying to sell. It’s an extension of our brand, especially since we are more of a premium/luxury product, given our price point. We aim to please and delight every chance we get, whether it’s a physical touchpoint with our customers such as the packaging, or digitally via our transactional emails. Instagram and Pinterest are proving to be most dominant given our niche. It’s a heavily female driven demographic and the age range of our clients are most active on those channels. Losing momentum, and not having enough of a sense of urgency. If I could travel back in time, we could have definitely taken much more market share if we went to market more aggressively with a more detailed game plan. Our partnership with Holt Renfrew definitely reinforces our brand and our success. It’s important for a premium brand like us to be recognized by the premium luxury retailer in Canada, and it speaks volumes about the reputation of our products. Make sure you plan things out and have a clear goal for every year. Never lose momentum. From go, start running. You have to keep going or you’ll lose ground to competitors. Put your customers first and build products for them. It’s something I truly believe in, and coming from a design background, it resonates with me as I always approached the world from a design thinking perspective – which is to identify problems and come up with a creative solution. It’s the same thing when serving customers; what value can you bring? What problem can you solve? What can you help them with? Focus on that, develop your product, and the money will follow. We’d like to expand the wholesale side of the business, and work with more international retailers. We’ve been getting a ton of interest, and we are trying to work actively with retailers around the globe who align with our brand, and we feel we have synergy with. We can’t wait to see the future has in store. I think one of the biggest things that helped internally was figuring out what everyone’s talent is and where they fit in the business. As a small team you have limited resources and you need to ensure you are maximizing productivity, but also ensuring everyone is not only doing what they do best, but also enjoying what they’re doing, and that’s one of the most important things in my opinion as a business owner. Externally, we found that influencer and social media marketing is definitely one of the biggest game changers, and early ways we secured traffic to our new brand. Word of mouth is very important, but when you work with an influencer in your niche, that’s amplifying your brand and message across thousands of people.